B A N C O: Berrien County "justice"
Rev. Pinkney is sleeping on a small mattress on a cement floor in a 14x12 cell with 6 other men. There is no hot water in the jail. 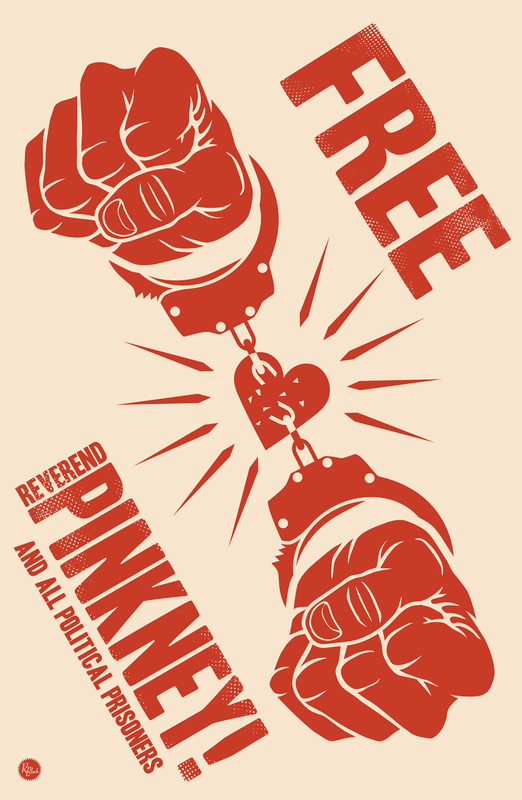 Mrs. Pinkney went to the jail on two occasions recently and gave money to the jailers for Rev. P.'s account. Both times the money was taken away from Rev. P. This is now considered money stolen by the jail. Please make as much noise as you can wherever you can about the continuing harassment of this innocent man. This is right up there with the most obvious cases of people imprisoned for political reasons. Meanwhile, Benton Harbor has lost it's major voice for justice. In jail, Rev. 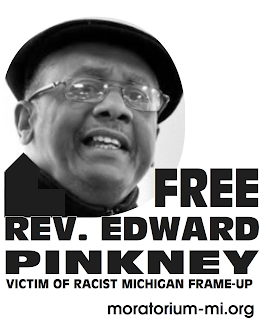 Pinkney was issued a search warrant for his computer last Friday, Dec. 28. However, his computer was confiscated by the county sheriff without a warrant 2 weeks earlier on Dec. 14.